Having completed two orders successfully now I thought it would be a good time to do a review of my preferred PCB Manufacturer, PCBWay. Please note: this post is part of the coupon program run by PCBWay however my comments are based on the experience of my two orders. I will be using my affiliate link throughout, If you’d prefer to go directly click the Non-Affiliate link here. I’ll update this post with any future notes. As part of the project I am building a Driver display system which will be used on the R16e car that I’m helping build with the team at RMIT Electric Racing. It uses a 3.5” TFT screen from Adafruit and a custom PCB with an ATMega328P microcontroller and MCP2515/ISO1050 CAN Interface. The board is designed with simplicity in mind and as such will use an Arduino bootloader, ICSP header for programming as well as some pre made power supply modules. Being a prototype it was important to me that it didn’t cost too much, all up the PCB cost $51 USD (five copies) including DHL shipping which meant that it only took 4 business days to arrive. Driver Display PCB - My first order with PCBWay was for a PCB for my final year project, double sided 1.6mm board, 6/6 minimum spacing, blue with white silkscreen and HASL finish. Following the success of my first order I put in an order for the PCBs that we require for this year’s car. Most of the details were the same however we opted for green soldermask and white silkscreen (picture above). The total order came to only $97 USD for five unique boards, and five copies of each. Developing the boards really was a team effort, we had some of the more experienced team members helping our new first & second year students to design the circuit. We had everything being quality controlled by multiple eyes before being sent off which has resulted in no design faults. Passing down the knowledge of good circuit design and tips & tricks for Altium Designer we can ensure our team has a solid future in the Formula SAE - Electric competition. We’ll also be getting some of the newer team members up to standard with hand soldering SMD parts, first though, we’ll be getting them to watch the classic instructional videos from Dave Jones. 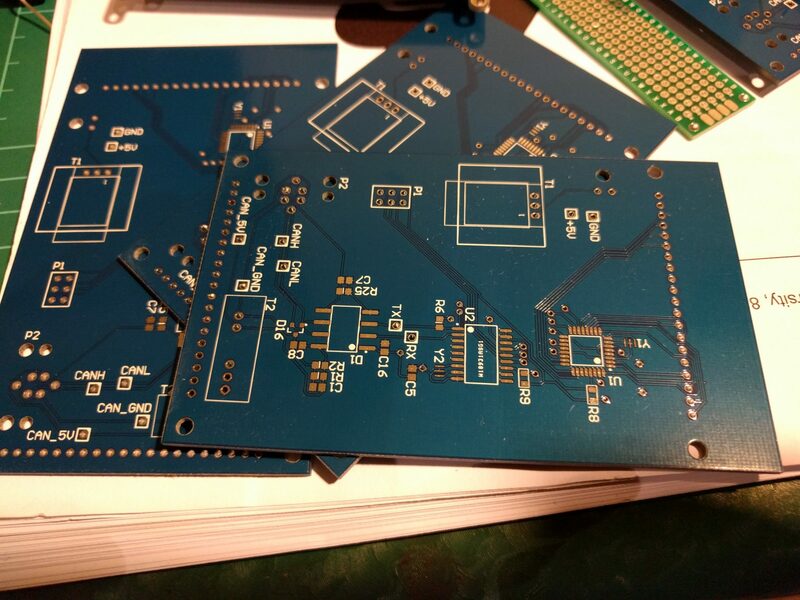 The boards were all thoroughly tested and appear to have no obvious faults in the manufacturing, the surface finish (HASL) is great for the price and the quality of the silkscreen is better than a lot of professional production quality PCBs I’ve seen. If you roll the dice there is the possibility to have your boards upgraded to ENIG for no extra cost but unfortunately we lucked out this time. In terms of customer service I found the support that I’ve gotten to be of a high standard, I was able to chat with the customer service on a couple of occasions and was able to confirm that specific parts of my design were going to be okay for manufacture. Along the way I received email updates as well as an SMS from DHL to indicate the estimated delivery date which was a nice surprise. Their order tracking functionality on the website also gives a breakdown of which steps in the fabrication process have been completed (this experience is similar to the domino’s pizza tracking app!). 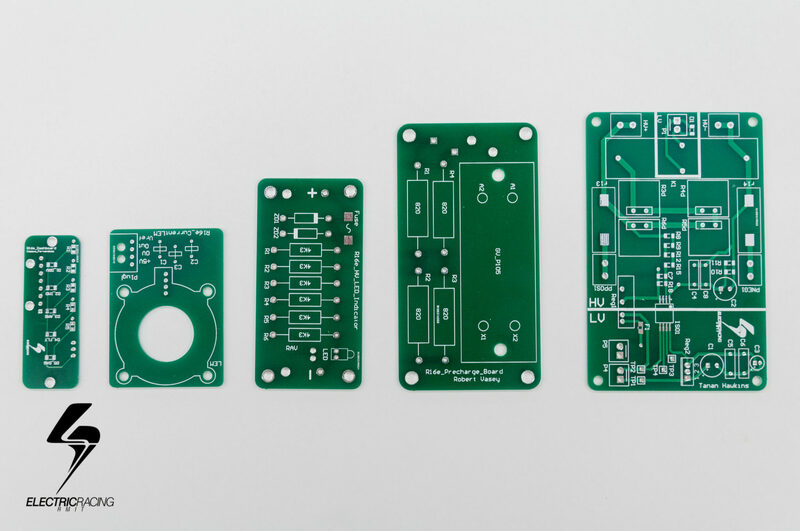 My first order came with some extra goodies with a couple of different “universal” PCBs which are similar to perfboard or protoboard but have plated through holes so can be used for double sided construction. I’m sure I’ll find a use for them in some sort of future project. All in all, as a cheap PCB manufacturer I would recommend PCBWay over OSHpark or BreadboardKiller for orders in Australia. In my experience OSHpark prices are similar however the delivery time is much slower and even though you get ENIG as standard it’s pretty hard to beat PCBWay for the turnaround time. Keep up to date with what the team’s doing at RMIT Electric Racing - News.